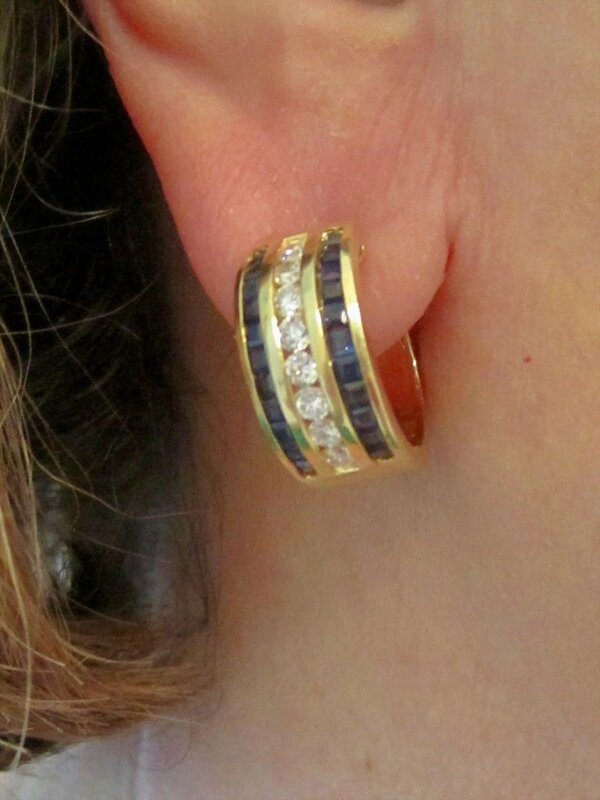 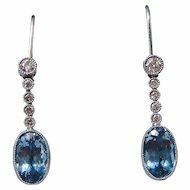 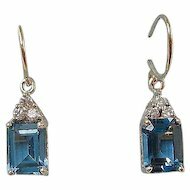 What fabulous natural sapphire & diamond hoop style earrings these are! 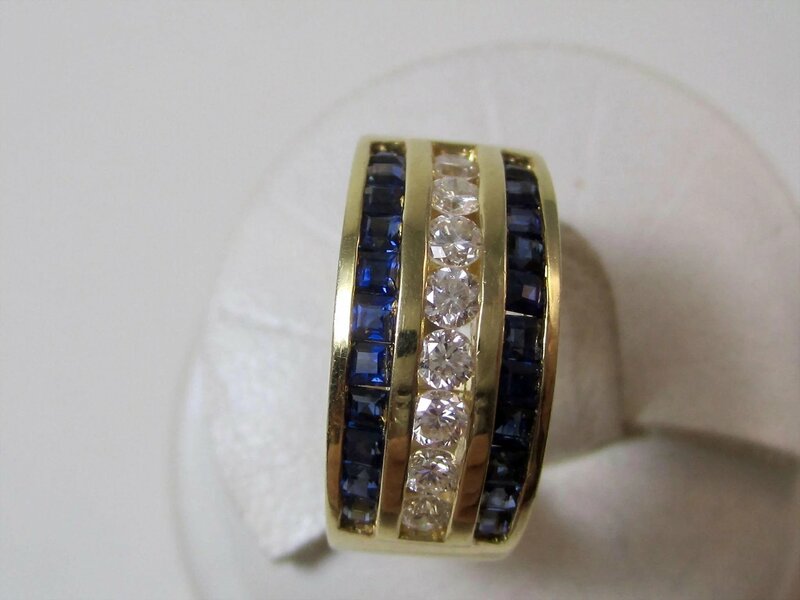 I adore the gorgeous square princess cut sapphires with their rich deep blue color with the lovely brilliant cut diamonds. 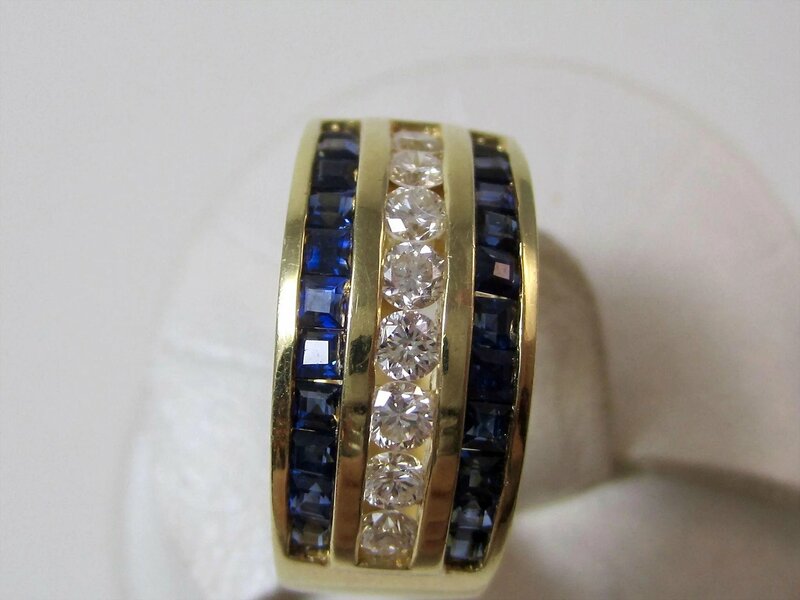 The bands of 14K yellow gold make the diamonds and sapphires pop.....so lovely. 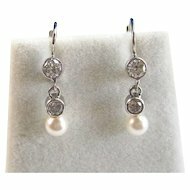 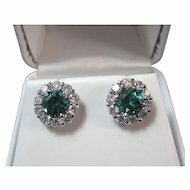 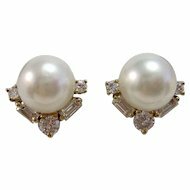 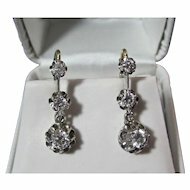 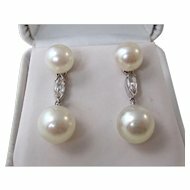 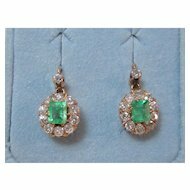 They are perfect for your wedding day or for any occasion, office to carpools, casual to ballgown.....these earrings can go anywhere. 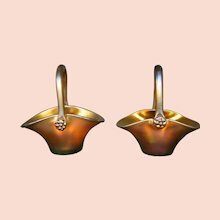 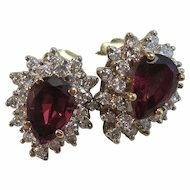 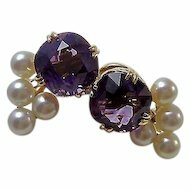 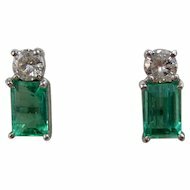 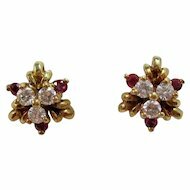 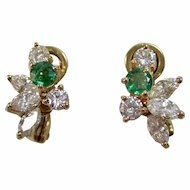 You will treasure these amazing earrings & love wearing them, no matter what the occasion! 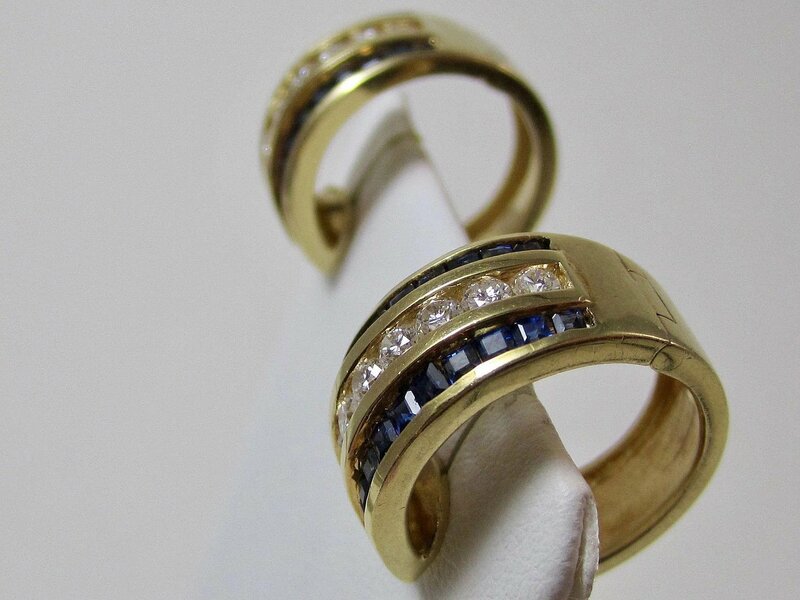 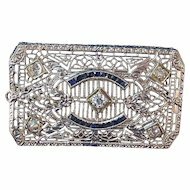 There are 44 channel set square princess cut natural blue sapphires, weighing approximately 1.32 carats with moderately strong deep blue color, eye clean clarity, with a very good cut. 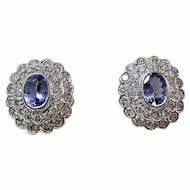 The sapphires are set in two rows with a central row of sixteen channel set round brilliant cut diamonds, lovely bright white I/J in color, beautiful SI1-SI2 clarity, with a very good cut. 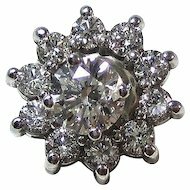 The diamonds total weight is approximately 86/100 of a carat. 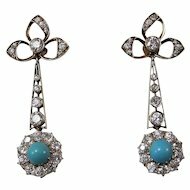 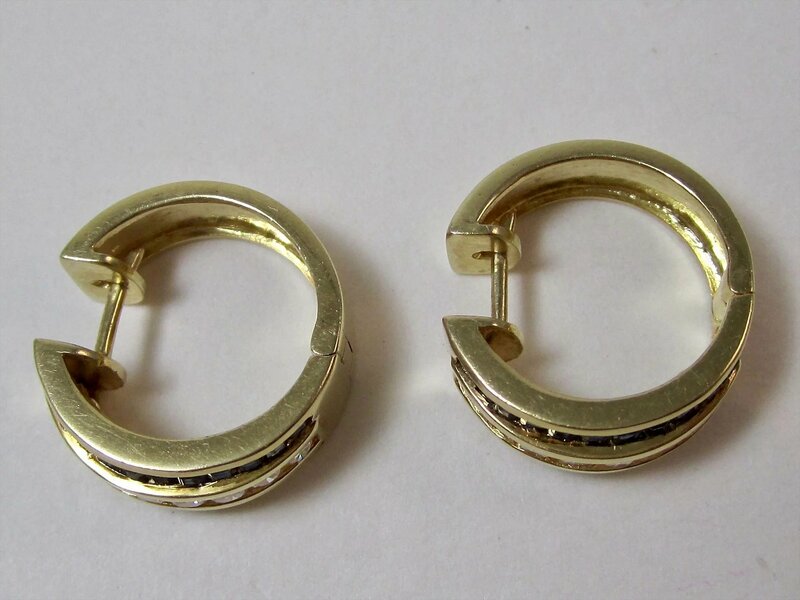 Circa 1970's, the earrings measure 15/16ths of an inch from top to bottom, and 3/8ths of an inch from east to west. 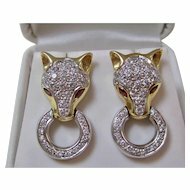 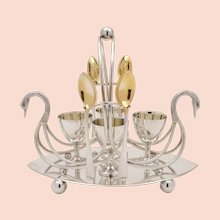 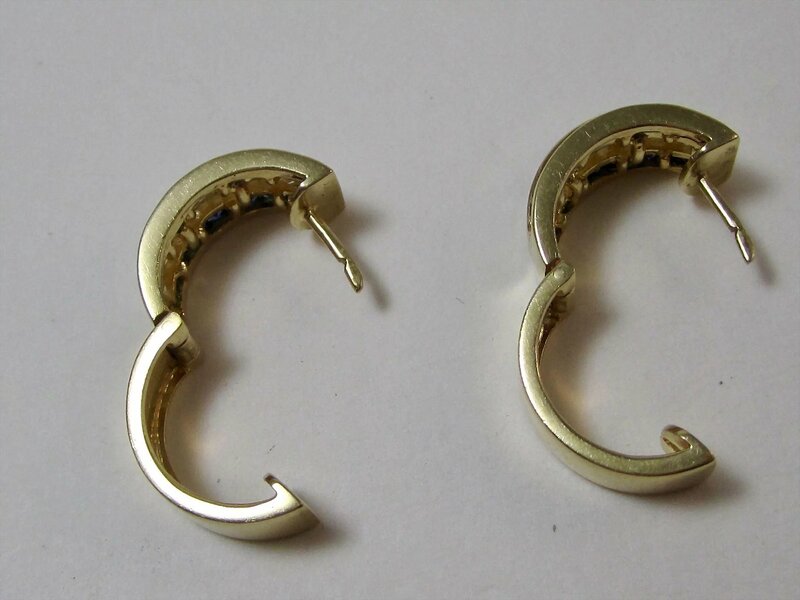 The earrings are set in a tested 14K yellow gold hinged hoop style setting, meaning they have 58.3% fineness of pure gold, with hinged post & clip backs. 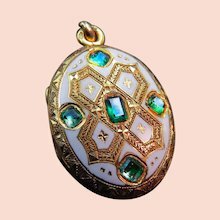 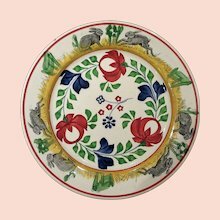 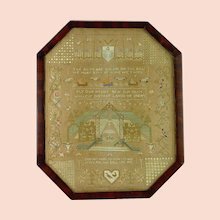 The total piece weighs 11.32 grams.